study. mug. study. mug. study. mug. study. mug. study. mug. A funny video circulating around expressing our thoughts on BOSS Bidding. Just watch and take it with a pinch of salt, don't think too much! A little like gambling I feel, cause there's absolutely no certainly at all - you don't know what others in the cohort has bid for, so for me, I'll just chill! Live it up to fate, if the class is meant for me, it is.. if not, it just means god has a better plan for me. Anyhoos, I can't wait for the rest of Freshmen Experience. Things like VIVACE (pronounced as VEE-VAH-CHEY), Freshmen Bash etc. 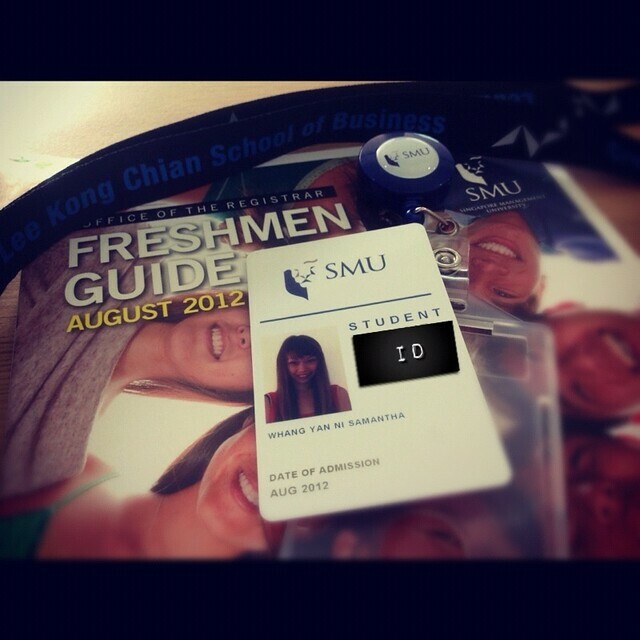 An entirely new experience as I step foot into SMU. Classes wise, most of my mods are pre-assigned this sem, so I can't fly bid w my friends. Kinda alone :( Hope I meet awesome classmates & group mates. Things will NEVER be the same as before like in Poly, no matter what. But, I'm determined to make it a smooth transition for my own sake. Here’s to a completely new semester beginning in two and a half weeks!